U.S. Sen. Marco Rubio, R-Fla., has thrown his support behind President Donald Trump’s proposed defense budget. On Friday, Rubio joined a host of other Republican senators–including U.S. Sen. Dan Sullivan, R-Alaska, U.S. Sen. Marsha Blackburn, R-Tenn., U.S. Sen. Kevin Cramer, R-ND, U.S. Sen. Tom Cotton, R-Ark., and U.S. Sen. Roger Wicker, R-Miss.–in urging the U.S. Senate Budget Committee to support Trump’s proposed $750 billion for defense. Over the past two years Congress, in concert with the Trump administration, has made great strides in rebuilding our nation’s military. However, due to the severity of the threats we face, much more work remains. As such, we write in support of the president’s budget request for $750 billion in defense spending in Fiscal Year 2020. Given the challenges we face from great-power competitors, rogue states, and extremist organizations, fully funding at $750 billion our brave service members is crucial to ensuring that they have everything they need to protect our nation and its interests. The 2017 NSS correctly identified that we live in a competitive world, where “China and Russia challenge American power,” “…the dictatorships of the Democratic People’s Republic of Korea and the Islamic Republic of Iran are determined to destabilize regions,” and “…jihadist terrorists…are actively trying to harm Americans.” Nested within the guidance of the 2017 NSS, the 2018 NDS outlined a prioritized approach to defending the nation that requires rebuilding military readiness, increasing lethality, and modernizing key capabilities. Unfortunately, our military has been operating from a severe deficit. Years of insufficient defense budgets have led to readiness problems across our Armed Forces. These problems manifested themselves in the form of training shortfalls, delayed ship maintenance, and low aircraft availability rates. Most tragically, we have also seen the death of our service members in accidental ship collisions and aircraft and helicopter crashes. 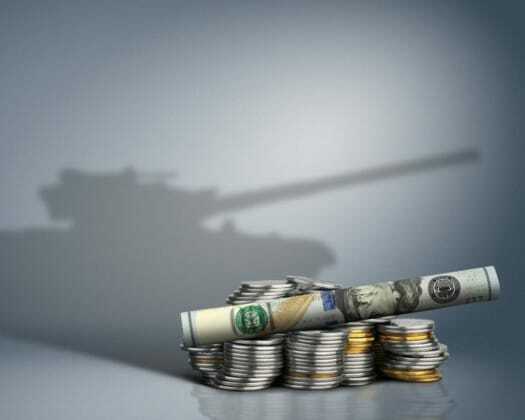 Under-resourced and unpredictable defense budgets have hamstrung the military for the past decade. The recently released National Defense Strategy Commission Report noted that, even accounting for the increased defense budgets of the last two years, the 2011 Budget Control Act “…resulted in a net $539 billion in cuts to Secretary of Defense Robert Gates’s final spending plan…” That cut equates to almost an entire yearly defense budget and it has resulted in our adversaries narrowing our comparative military advantage. The Commission Report called for 3-5% real growth in the defense budget to maintain our qualitative edge and meet the challenges of the National Defense Strategy – a $750 billion budget provides for that growth. Otherwise, our advantages in space, cyberspace, and power projection will continue to erode. Thankfully, the administration and the Congress have been up to the task of rebuilding our military. The bipartisan steps we have taken – increasing defense spending in 2018 and 2019 to $700 billion and $716 billion respectively – show our nation’s collective ability to recognize and respond to the threats we now face. The Service Secretaries have uniformly reported that progress is being made in recovering our military’s readiness. A sustained robust defense budget continues to build on the bipartisan progress we have made to ensure our troops remain ready in the short-term, but still have the new technologies they will need to fight on the modern battlefield. We must note, though, that our adversaries will not remain static. China and Russia continue to grow their militaries, develop modern technologies such as hypersonic weapons, and expand their sphere of influence. North Korea and Iran still loom as regional threats to our nation and violent extremism endures as a persistent challenge to safety and security of the American people. In the face of these threats, the United States military stands ready prevent conflict, deter attack, and, if necessary, to defend the nation. Robust and predictable funding will demonstrate that we stand with them, today and into the future.